After trying out a ridiculously easy method for making comforting homemade apple sauce I wanted to have a little bit more fun and customize this seasonal staple. Don't get me wrong apple sauce is delicious on its own, I could enjoy spoonfuls of it served both warm or cold, either way is delicious. However, after feeling inspired by what I had in the kitchen one morning, I threw together a breakfast that's worth boasting about. The recipe is simple, like making the sauce itself, but packs a punch of fresh flavour and crunch that will fuel you up with all the good stuff you need to get your day started off on the right foot. 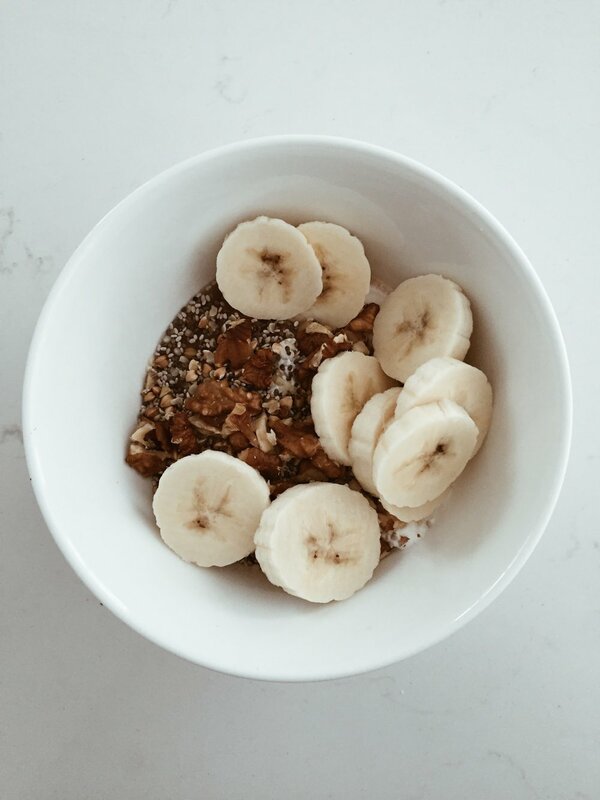 3 tbs of Skinny B high fiber breakfast cereal which contains all three ancient grains. 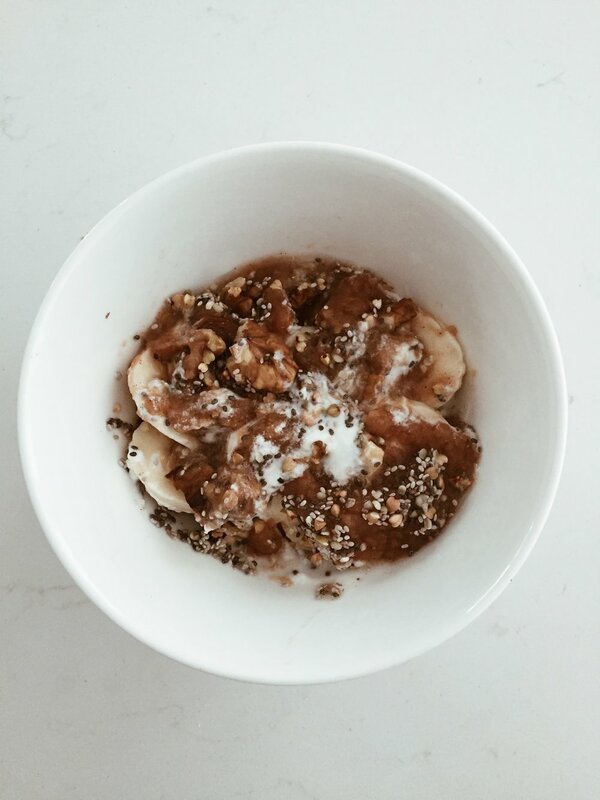 This Earth Blend Brainy Breakfast is incredibly delicious, nutritious, & quick to make. Homemade cinnamon apple sauce is a wonderful addition to any granola breakfast and this one is a simple blend of quality ingredients that together create a satisfying & sweet morning treat.